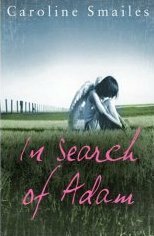 I recently expressed my desire to read In Search Of Adam – something nearly impossible due to my geographical location. Shipping a book over from the UK just doesn’t bode well for me … in both time, effort and cost. A few hours after I posted up that wish Clare from The Friday Project contacted me. I was pleasantly surprised … and intrigued. And so I fired off an email to her – hoping that she could address my doubts about ordering In Search Of Adam from so far away a place. I have to admit – this quick support quite impressed me, and it wasn’t long before I received another email. And … my hopes were dashed. The cost was quite beyond my budget for a single book, and it would take 3 months (on average) for the book to arrive. The sacrifice just didn’t seem worth it … and so I decided to wait it out. Hold on a sec, though … The Friday Project replied and connected with me – one prospective buyer interested in one of their blooks. Where on the internet can you get this kind of customer service? The Friday Project rocks … and I am now a staunch supporter of everything they do. If you’re living in the UK get your grubby paws on one of their books right away – shame on you if you don’t! PS: Check out the coverage on In Search Of Adam here, here and here.